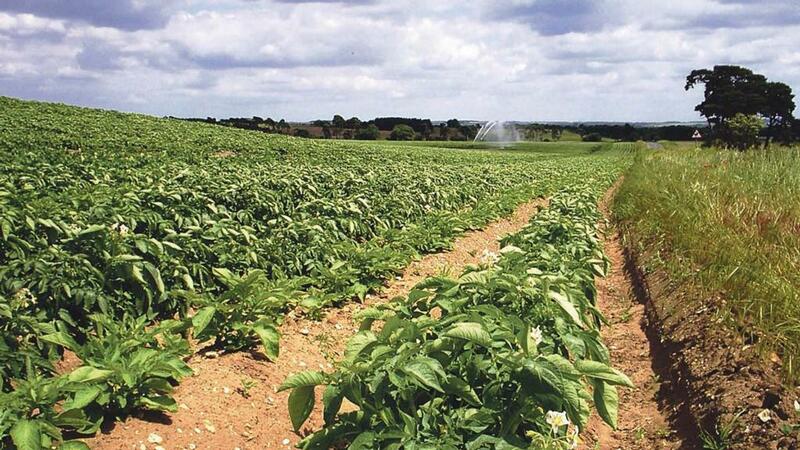 AHDB estimates the total area in Great Britain planted with potatoes is 119,000 hectares, a fall of three per cent on the year. This would represent the third-lowest planted area on record. The news comes in a challenging season for potato growers, with prolonged drought likely to affect yields. The ultimate size of the potato crop, and how the market firms in response, will not be known until harvest. At five year average yields, the estimation would equate to a total potato harvest of 5.7 million tonnes (Mt). AHDB’s sector strategy director for potatoes, Dr Rob Clayton says: “The season started with sub-zero temperatures brought by ‘the beast from the East’, followed by a wet spring that delayed planting. Since then, we have seen one of the driest combined June and July periods on record, so most growers are reporting that yields will be down. The table above provides examples of the potential size of the British crop, based on a reduction from the five-year average yield. For example a yield reduction of 10 per cent, added to the predicted three per cent fall in planted area would see a total crop of 5.1 Mt, down 16 per cent. If the agricultural drought persists, then yields could be lower still, according to AHDB.